SAFPRO Technology Solutions POS software possesses loads of features that would help make your business easy and ensures you are always up-to-date with the activities of your business. The inventory management feature is a very useful feature that gives you the opportunity to perform various operations which includes the option to easily categorize every single one of your products and check their values in any format.To Load the master values once in the system to simplify the purchase and sales. There is also a category of features that deals mainly with sales management. These features enhance the productivity and efficiency of your business by providing you with the support you need and saving you time by carrying out strenuous tasks. It increases the speed of your sales, bills, orders and customers transactions. Our purchase management feature helps with the processing of orders and purchase return by consumers. It serves as the bridge connecting your products to your target customers. It has an easy and user-friendly interface that assists your customer in carrying out their operations with ease. SAFPRO GSTBilling Software Makes GST Billing & Filing Simple and Easy. With GST Filing Options, You can Import XLS and file through your accountants, auditors, CA’s, Or do yourself by using Reliance JIO-GST( Partnered with JIO-GST work for GST-Filing). Our software carries out schedule analysis of your reports and provides you with an accurate result that can help you help your business. 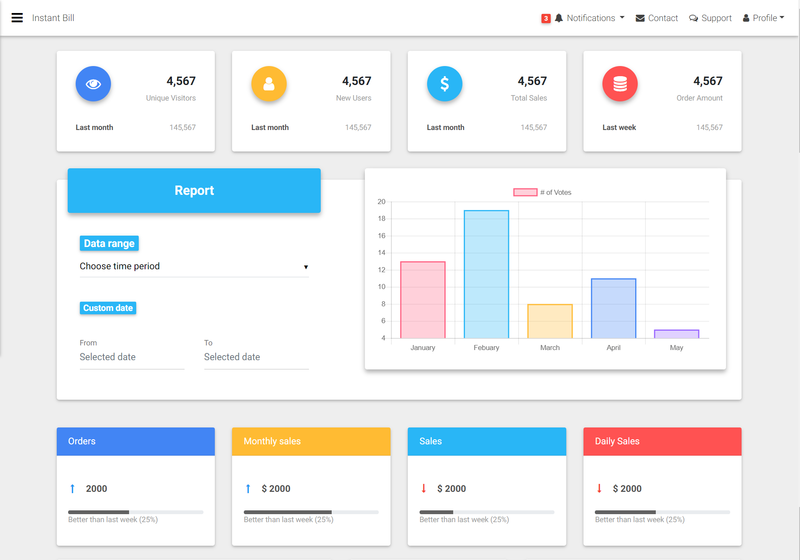 It gives you various reports such as; Accounting reports, Storefront and Back-office Reports Our software adapts to various devices and works with maximum speed. This section serves as a directory for you to keep all the details summary of your transactions, contacts, balance details and more. Managing of supplier detaisl with outstanding payment and the payment processed.